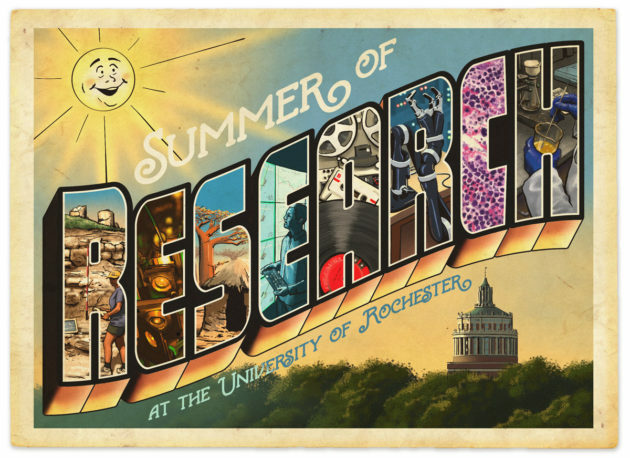 Rochester chemical engineering major Tianhao Yu ’19 has a unique job this summer: he’s working on a chemistry project involving a local business. 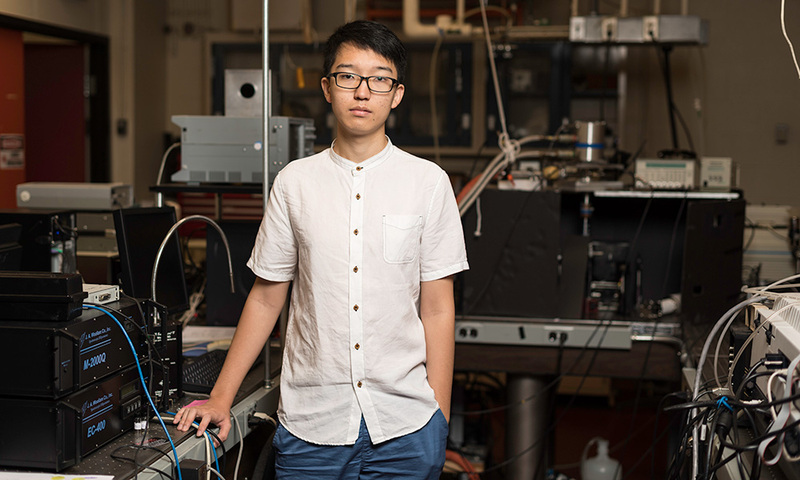 As an Eisenberg summer intern, Yu has spent the summer in the lab of chemistry professor Lewis Rothberg studying and testing materials for OLED—organic light-emitting diode—displays. OLED screen displays provide a crisper picture than most LCD (liquid crystal display) screens, and Yu’s research may help improve the screen displays of devices such as cell phones and televisions. The proprietary OLED materials Yu is testing are developed by the Rochester–based company Molecular Glasses. Rothberg and Yu’s current efforts expand on the work of Ching W. Tang, University of Rochester professor emeritus of chemical engineering, who created the first efficient OLEDs in 1987 while at the Eastman Kodak Company. These semi-conducting devices are made with organic compounds that emit various wavelengths of light in response to an electrical stimulus. 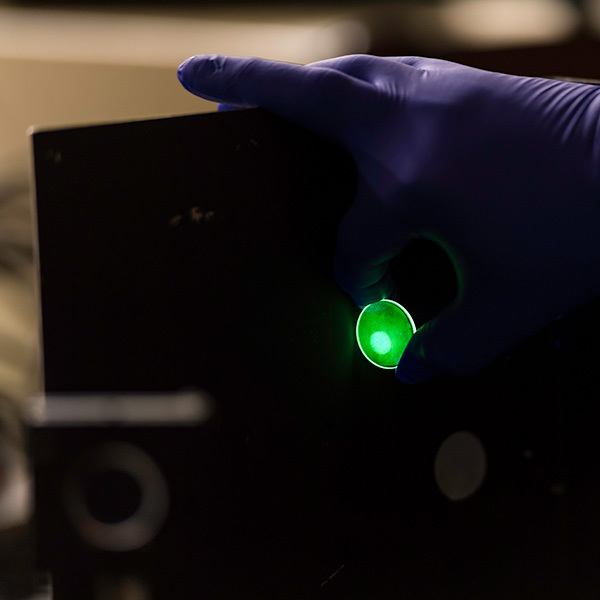 The specific materials Molecular Glasses is developing address two current technology challenges: making OLEDs that emit blue light more efficiently, and increasing the lifetime of the devices that use blue emitters. Molecular Glasses sends Yu samples in thin films that are placed on round glass substrates. Yu then uses lasers to study the luminescence of these films and the efficiency with which the OLED materials emit light. “It’s tough to make a blue OLED that lasts a long time while retaining the efficiency,” Rothberg says.